In third grade Robbie McBurney made fun of my nose; I hated it from that moment on. So imagine my dismay when I realized my son was set to inherit the very feature that made me so self conscious that 20 years later I still remember the name of the kid that made fun of it. I remember the exact moment I started hating my nose. Robbie McBurney,1 the kid I sat next to in Mrs. Zierenberg’s third grade class, called me “flare nose” as we were walking back from gym. Robbie McBurney also happened to be the boy I had a crush on in third grade, so his comment basically destroyed me. That’s not to say that my nose was (or is, really) a thing of breath-taking beauty.2 Sure, it started out adorable3–all turned up and button-like–but as I got older (and more and more and, yes, more! awkward) it got much less cute, at least in my opinion. During my tween/early teen years, it was all I saw when I looked in the mirror. I thought it was too round and too wide; it looked funny when I smiled and even worse when I cried. Looking back, I think my response to Robbie’s comment would’ve been less dramatic if my nose hadn’t been sort of a mystery to me. When I was growing up, no one on either side of my family had a nose that looked anything like mine. We just didn’t know where it came from. Meanwhile, you could take one look at my brother and sister and see that they clearly represented the paternal and maternal camps, respectively. I’m more of a hodgepodge of various (and perhaps more recessive) traits that just haven’t popped up much on either side of the family. The resemblance is there but it’s nowhere near as strong as what you see between my brother and father and my sister and mother. I think I would have felt less desperate about the whole nose situation (and, trust me, it was A Situation) if there had been someone I could look to and say, “Oh, that’s who gave this to me and that’s what it will look like once I grow into it.” Whether I was craving someone to blame for it or looking for a way to be proud of it, I don’t know, but it probably would’ve helped matters quite a bit. Instead I spent a lot of time during my middle school years holed up in my room with a clothespin on my nose, à la Amy March, resigned to the fact that rhinoplasty was desperately, desperately needed. I was convinced my nose would eventually take over my entire face. Adolescent angst is a mighty powerful beast. Now of course, as I got older, it became less of an issue. I still wasn’t by any means in love with my schnoz, but I learned to live with it, realizing that I have other traits (physical and otherwise) that are quite lovely. 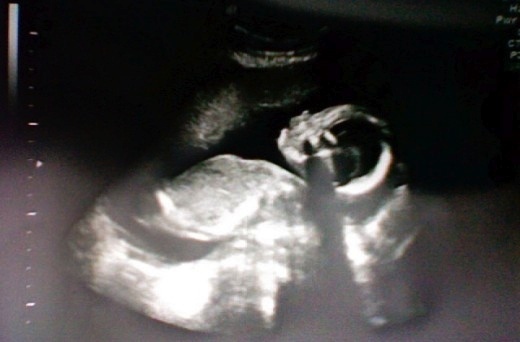 Then in June of 2008, when I was halfway through my pregnancy with our now three-year-old son, JR, an ultrasound showed us that, without a doubt, our baby was set to inherit my nose. Oh, hello there, wee JR. Whosa cutie baby? WHOSA CUTIE BABY? As I looked at that sweet profile sporting that impossibly turned-up nose–and as I nuzzled that same nose in person almost five months later–I couldn’t help but hope that maybe, as JR got older, it would end up looking more like his dad’s than mine. I felt like no matter how much I loved his nose he was destined to at least go through a phase or two of hating it…and the best I could ever do for him was commiserate. Cut to two years later, and we have my brother, Bryan, using part of his summer break from teaching to research my dad’s side of the family. My paternal grandfather passed away when I was 12, and my grandmother (his wife) just turned 101;4 I guess Bryan felt like the clock was ticking when it came to getting our family history down on paper. Through the magic of the Internet, he was able to track down 100-year-old family records and photo after photo of relatives we’d heard about but never met or even seen in a snapshot. 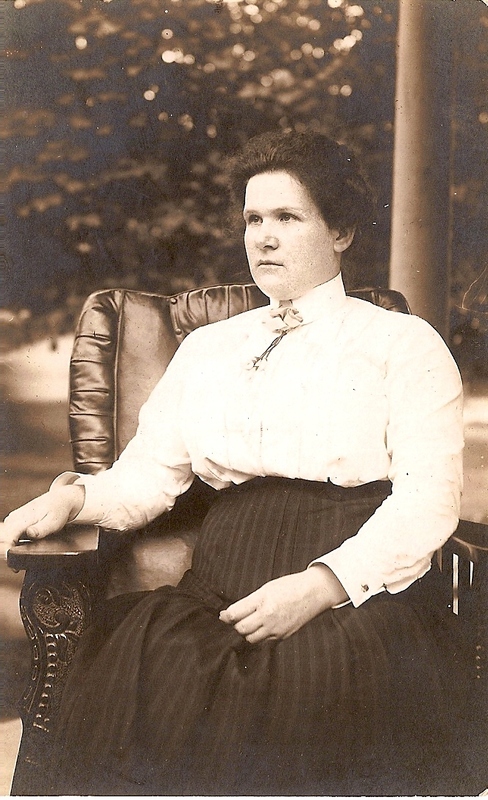 One day as I was reading through his latest research update, I clicked to open an attached image of my great-grandmother, Jennie, mother to my granddaddy, Frank. Serious great-grandmother is very serious. As I glanced back and forth between my own reflection and the image of my great-grandmother, it was if a switch flipped. I couldn’t stop smiling. I couldn’t stop smiling AT MY NOSE. Suddenly, I was so proud I felt like I was going to pop. I might have even giggled a bit. In fact, “stoked” is really the only way to describe how that picture made me feel. I was stoked for myself because I was finally shaking off over 20 years of insecurities; and I was stoked for my son because I knew that it was only a matter of time before I started projecting those insecurities on to him, should he ever experience awkwardness anywhere close to the level that I did. This nose–our nose–didn’t come out of nowhere; it has a history! 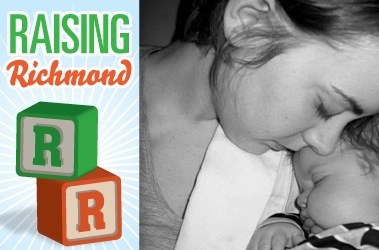 It’s a visible, undeniable link between my great-grandmother, my son, and me. I think it’s awesome. And I’m going to try my damnedest to make sure JR thinks so, too. So there, Robbie McBurney. I didn’t really like you THAT much anyway.